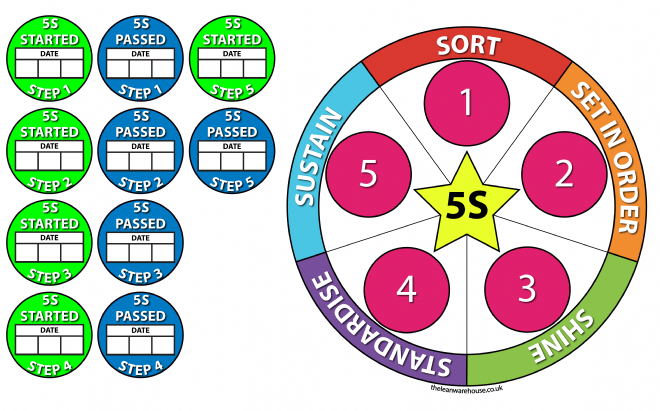 Use these 5S Stickers to effectively track your 5S Projects, this is done by using the started and completed stickers. 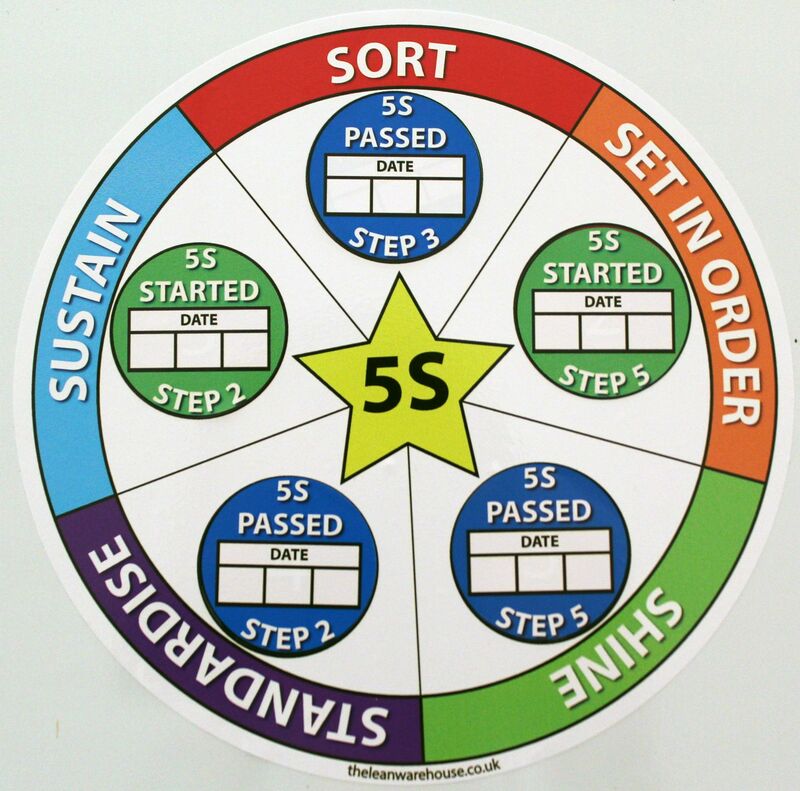 Once a project is started simply put a green sticker and the date it was started onto the relevant step of 5S, then once the project is completed stick a blue completed sticker on top! This will give a instant visual feedback of whether 5S projects have been started or completed.